Finally, a doll that looks like me! 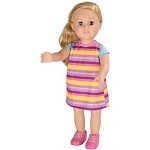 Set your little one’s imagination free when you bring home this My Life As Emma Doll! 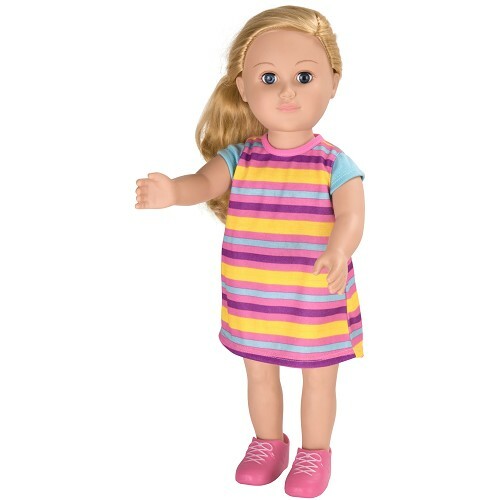 This doll will surprise and delight your child and is sure to become their new best friend in no time! This fun and friendly gal is ready to explore and will happily accompany your child on trips to school, errands, grandma’s house or for an afternoon in your local park. 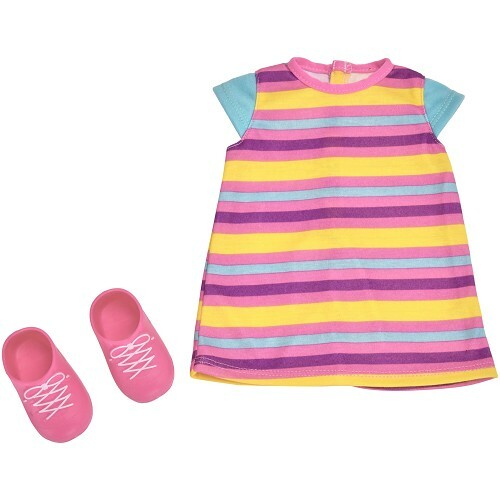 The Emma Doll comes equipped with a bright pink, yellow, blue, and purple striped dress so she can enjoy the sun in the warm summer months. 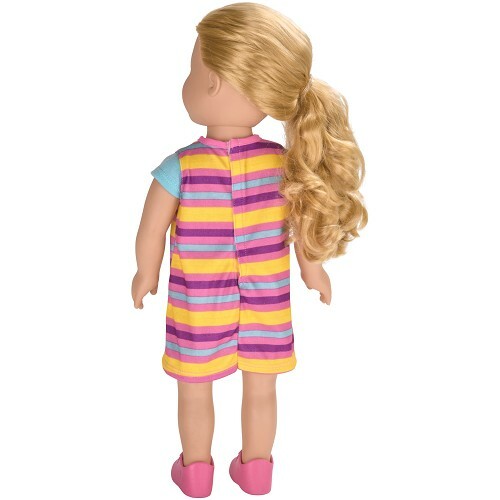 The Emma doll wears her golden blonde hair in a stylish side ponytail with full, lush curls that tumble down past her shoulders. 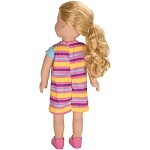 She is 18" tall, poseable, and has a soft torso, and will fit most clothes and accessories made for 18" dolls. 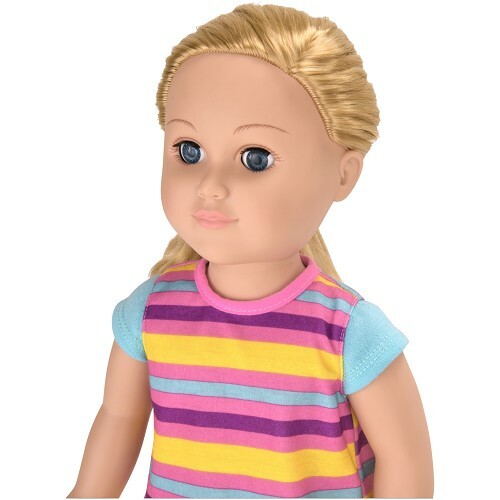 Your little one will enjoy playing with the My Life As Emma Doll alone or with friends for hours of giggles, smiles, and creative roleplay!